Hindu Extremist Leader of RSS has Admitted Involvement in Samjhauta Express Bombing and other Bomb Blasts in India. 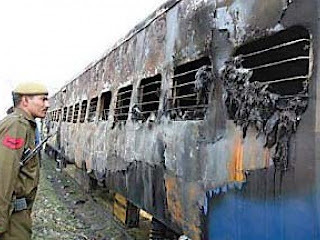 Swami Aseemanand a major leader of Hindu Extremist Group RSS has told during investigation that he was involved in Samjhauta Express attack and several other incidents of Terrorism. Swami was arrested in November 2010. 68 People in most where Pakistanis where killed in attack on Samjhauta Express in 2007. Swami has said during Investigation that RSS also done Ajmer Blast, Macca Masjid Blast and Malegaon Blast. Muslims where blamed for years for doing this attack by Indian Government as well as Media but now Truth has came out that actually Hindu Extremists launched these attacks.